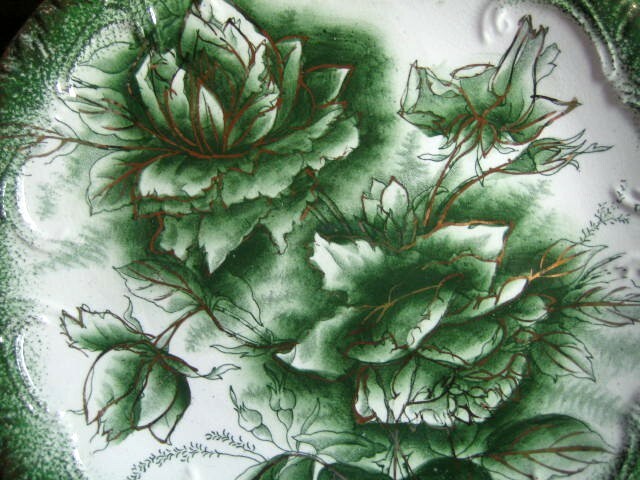 Click the button below to add the Antique 1900 Green Moss Roses Gold Highlight Textured Plate to your wish list. 9 ". 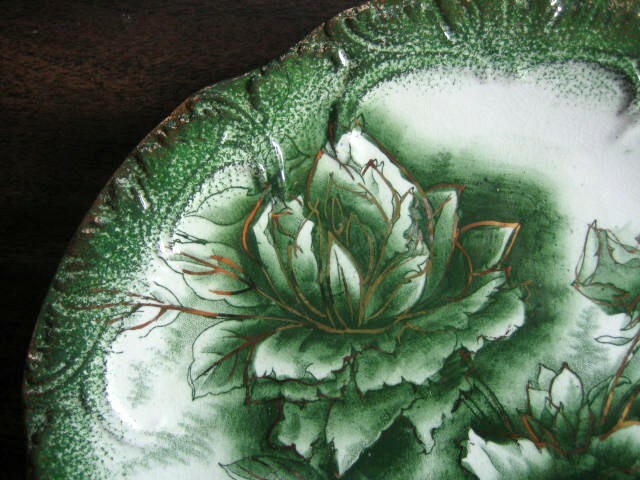 Interesting antique English plate with rich moss green roses on cream background highlighted with gold hand painting and guilding. Really pretty.